Earlier this month, our client, Alisha Shoates James, took the main stage with Mothers of Black Boys United (M.O.B.B. 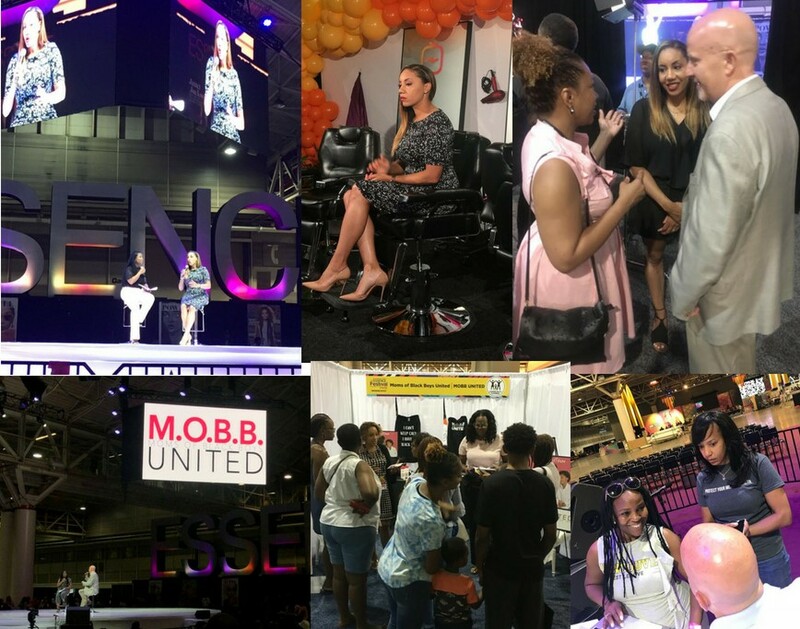 United) at the 2018 Essence Festival in New Orleans. She had an opportunity to share her expertise through a platform designed by the non-profit to discuss law enforcement, criminal justice reform, community involvement and leadership. M.O.B.B. member, Vanessa McCullars moderated the discussion and spoke with Alisha on Friday and a fellow colleague, Ed Welch, on Saturday. Alisha was invited to speak at Essence because of her law enforcement expertise, public service and entrepreneurial role as founder of Ten-Four Clothing – a clothing line for women who carry concealed weapons. She was able to provide insight on one of the most difficult issues in America right now. Together, Moms of Black Boys United (M.O.B.B. ), Alisha and Ed discussed how to mend the relationship between law enforcement and the minority community. The M.O.B.B. United movement and organization started in 2016 as a Facebook group for 30 friends to share their concerns, fears and possible solutions for the challenges their sons face. The group took off overnight and now has over 185,000 members and has developed into two non-profit organizations. Alisha (stylishly) advocates for law enforcement that focuses on community-focused policing, sensible gun laws, criminal justice reform and social justice. Yet, her beliefs (and position) often have her standing at an intersection of what two distinct voices, in the United States, believe today. She believes there is more involved in this type of conversation than the polarizing (and singular) positions of ‘you are either for gun control or against it.’ In fact, there are multiple views and opinions that have yet to be heard…and must be included to find sensible solutions. Just because she believes in the Second Amendment, it doesn’t mean that she’s anti-gun-reform.